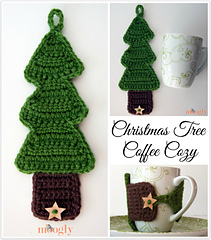 The Christmas Tree Coffee Cozy is for Secret Santas, teachers, coworkers, friends - aka people who get coffee shop gift cards or mug based gifts at the holidays. 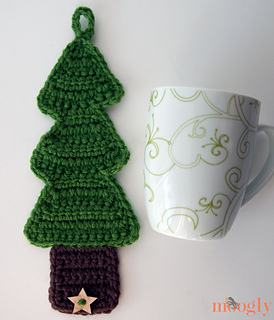 Or really anyone who’d enjoy a holiday hot drinks holder! 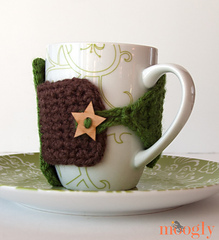 Add a homemade touch that lifts your gift or morning joe above the rest with this free mug cozy pattern.